This is one of the few standalone bottlings of Graciano you'll find anywhere. 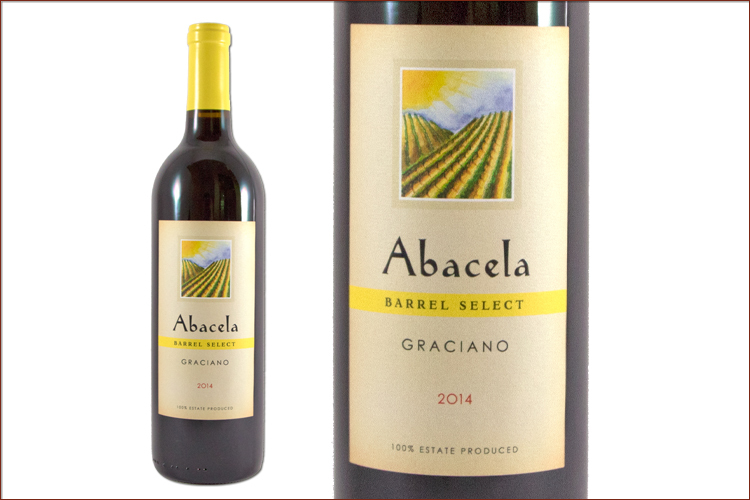 Better known for other Spanish varietals including Tempranillo and Albarino, the obscure Graciano grape makes up less than a half acre at Abacela and this bottling takes advantage of the best fruit from the 2014 harvest. Aromas of ripe plum and macerated blueberries mix with smoke, sweet pipe tobacco and black licorice. Flavors of bright red plum balanced with notes of brambles and tea are up front, then a touch of cocoa and brown spice on a beautifully balanced dry finish that shows tart cherry as it lingers.